Muslim Andrews University students host panel to educate non-Muslims about true Islam in an effort to combat the anti-Muslim rhetoric used in the news and elsewhere because of the actions of Islamic extremists. 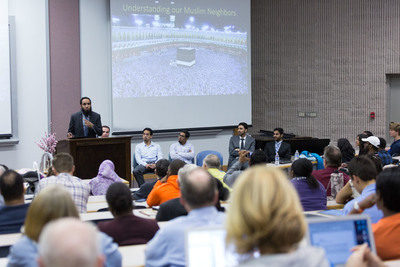 Francis, Danni (2016) "Understanding Our Muslim Neighbors: Panel discussion encourages education, discovery," Andrews Agenda: Campus News: Vol. 2016 : Iss. 4 , Article 2.